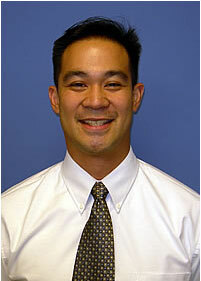 Noel S. Ciocon, PT, DPT, OCS is a Board Certified Clinical Specialist in Orthopedic Physical Therapy by the American Board of Physical Therapy Specialties. The Specialist Certification Program provides formal recognition of physical therapists with advanced clinical knowledge, experience and skills in orthopedic physical therapy. Dr. Ciocon received his Master of Physical Therapy in (1998) and his Doctor of Physical Therapy in (2003) from Temple University. 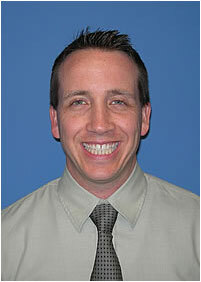 His primary interests include Orthopedics, Sports medicine and Post-surgical Rehabilitation. Dr. Ciocon treats a wide range of orthopedic and musculoskeletal conditions/injuries with an emphasis on evidence-based practice. Dr. Ciocon is an active member of American Physical Therapy Association (APTA) and member of the APTA Orthopedic and Private Practice Sections. Douglas S. Kilyk, MA OTR is a master degree graduate of New York University. He specializes in care and treatment of both neurologic and orthopedic upper extremity disorders for adult and children. Doug is a dedicated practitioner and his enthusiasm to seek and enhance treatment strategies for the greater good of the patient is evident by his unending motivation to learn and provide current research based treatment. Georgina Miers, PT, DPT is a graduate of the University of Medicine and Dentistry of New Jersey, receiving her Doctor of Physical Therapy in 2008. Since then, Dr. Miers has worked in outpatient orthopedics. She treats individuals of all ages, from children to the elderly population. Georgina sees a variety of diagnoses, including, but not limited to rotator cuff repairs, total knee replacements, total hip replacements, low back injuries, and patellofemoral knee disorders. In addition to being a physical therapist, Dr. Miers is also a dance instructor and teaches children of all ages at L.A. Dance School of the Arts, in Staten Island, New York. She enjoys treating and has rehabilitated numerous dancers, aiding them in successfully returning to dance.